2790 грн. - 2805 грн. 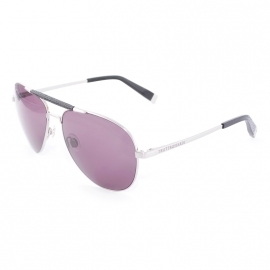 Trussardi is a brand of premium sunglasses from Italy. Their distinctive qualities - expressive form, lightness of structures and smooth lines. The designers paid special attention to the metal elements of the glasses, focusing on them. Metal, processed by special technology, looks very noble and luxurious. Polymer parts only complement the design of glasses, decorating them with colored inserts and making the accessory more convenient to use. Trussardi sunglasses can be monolithic frames or a combination of extravagant, prefabricated solutions. On any Trussardi brand product you can find the trademark logo or the greyhound depicted in the oval leviero. Do not deny yourself an expensive gift. Make a choice in the catalog of our online store.